OEM (Continental Contiprocont ACT) tires could not cut it in snow and ice. They just could not handle winters. Put these on for winter driving my wife and I were amazed by the performance of getting out of our unplowed driveway with snow and ice. The OEM tires would have just spun and we would slide backwards down the hill. These just allowed us to get right out without a sweat. The only disappointment I have is price for winter only tires. 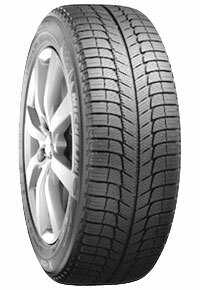 You may only get a few winters on these tires they wear faster if you drive on dry winter pavement too much. These are the best snow tires at the price point. I have a set on my car and my wife has a set on her car. My wife has to be at work well before the plow comes by our house. As our cars have ground clearance we will get through. Very predictable handling in the snow. The only brand of tire I would put on my family car. Excellent winter tire. I've been running Michelin X-Ice winter tires on my vehicles for years. Totally transforms the winter traction/handling from scary to secure and confident. I've never been stuck with these tires. These tires last long - noticeably longer than the Blizzak tires I've used in the past. Highly recommended. I would recommend these tires. This has been a great tire for us. Quiet, doesn't affect gas mileage, grips really well. While not uber grippy like some other soft studdless tires, they are grippy, predictable, and safe, and will last longer. We can also wait to change them longer since winter tends to linger here in Boulder. It has been a rough winter in the Northeast, and these tires have performed beautifully on my wife's car in the snow, ice, and mixed precipitation. Compared to her stock tire, her car now feels like a tank when driving in the snow. Now that it is the end of March, I'm taking them off, and there has been no noticeable wear in the 5K+ miles we have put on them this past snow season. Fantastic tire. There is a bit of slip/loss of traction when in deep snow or when needing to break hard in a slippery situation, but the tire is very predictable as it keeps you in control of your car. The Soul is a very light car so I'm guessing that doesn't help for traction, but the trade off for having such a quiet and comfortable ride is worth it. There is a little whine when accelerating on wet pavement, but again the trade off for having a well balanced tire is worth it. When driving on pavement I sometimes forget I'm on winter tires, the ride is that good. Great tire. Although they were a little pricier than other options, I heard nothing but good things about them so I went with them and I'm very pleased that I did. This is my 3rd winter with them on my car and they're still performing great for what I need. I'd definitely recommend these tires. Overall a pretty good tire. I would buy them again. No slipping on snow or ice. On my RWD 328i, these tires works amazing during the Toronto ice storms, no slippage on ice. It seems like these tires are more geared towards ice because on snow with RWD, the car slips a lot more. Overall a great tire, you can't find a tire that will be perfect for snow and ice, it's usually either one or the other. You can decide if snow or ice grip is more important. Aggressive tread but very little road noise. I purchased these tires last winter for my 1998 Audi and all I can say is this: If you want amazing traction on ice and snow - buy these tires! I have had other brands of winter tires in the past and these are definitely the best hands down. One of the characteristics that I like the most is how quiet the tires are on dry pavement. Most other winter tires will hum down the road at any speed. Not these tires!! The cornering stability is also very sufficient - I didn't even notice a difference between these and my summer tires. Will definitely buy again when the need arises!! I just went from an old set of X-Ices to a new one. I went with them again since the newer version continued to compare better than Blizzaks in several reviews by Canadian Tire and other websites. An old Corolla isn't known to have great traction, but the old ones have served us well, lasting for quite a few winter seasons. Even during the summer, I continued to drive on them since it was on its last legs, and it returned comparable fuel economy compared to my other all season tires. Once the new ones were installed, I immediately noticed better traction, stability, and road noise, even in the cold and wet with mild slush. Very happy with this purchase! Awesome tire, but hey it's a Michelin. I have driven on several winter tires on different cars. The Xi3's are far more balanced than previous winter tires. Highway ride is excellent, noise is very minimal. It takes intentional effort to get the traction control and ESP to activate. So far I have run these tires on cold and dry pavement and concrete, cold and wet pavement, hardpack snow/ice and fresh snow. The only time they have less than optimal traction is when in deep rutted snow. In normal driving, respecting conditions, these tires are nothing short of incredible. I am very pleased with them. The only unknown factor at this point is treadwear. Only time will tell.